Hidden away on the edge of the Chiltern Hills, near the stunning riverside town of Marlow, Monkton Barn offers the perfect retreat for your celebration. The focal point of our venue is an immaculately converted barn with traditional beams and oak floors, offering complete flexibility for your civil wedding ceremony, reception, wedding breakfast and evening celebrations, with flexible capacity from as few as 20 or 30 for your civil ceremony to 60 to 80 seated for dining in the barn, to over 300 using the courtyard and or meadow. Monkton Barn stands in its own large private courtyard and, on the other side, borders Home Meadow; 10-acres of rolling grass meadow with distant views for country marquee weddings, country fete-style weddings, camping, glamping, fireworks, or simply for those wanting to escape for a quiet walk. We want you to have your “own unique event” and we aim to be the most friendly, welcoming, flexible and helpful venue – you describe your vision, however eccentric, we go to great lengths to make it happen. 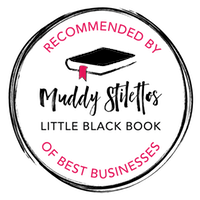 We guide you through our directory of tried and tested suppliers and contractors for everything from catering to entertainment, or you can introduce your own preferred suppliers (subject to a small charge and their compliance with our procedures). It’s hard to do justice to this picturesque setting, and we are fortunate to have our own award-winning photographer Wendy Aldiss based at Monkton Barn. Browse through her images in the Gallery or visit www.wendyaldiss.co.uk. and you’ll see for yourself. Conveniently located just 5 minutes from the M40, 10 minutes from the M4 and only 20 minutes from Heathrow airport, we offer unlimited parking, wheelchair access and disabled lavatory facilities.